My mom’s favourite evening tea time snack. 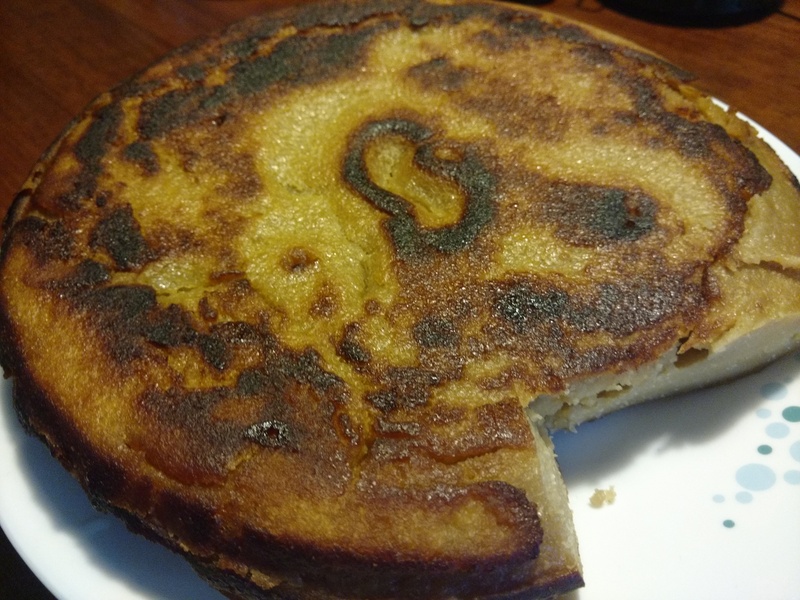 Grind the soaked rice, jackfruit, jaggery, coconut and salt together to a dosa/ pancake consistency. Take a pan. Pour the ghee and the batter, cover and cook on sim fire till it’s cooked.Toothpick/ knife should come out clean. Now to get a brown effect on both side turn the kalathappam on another pan face down, cook on sim till brown and slightly crisp on the other side. 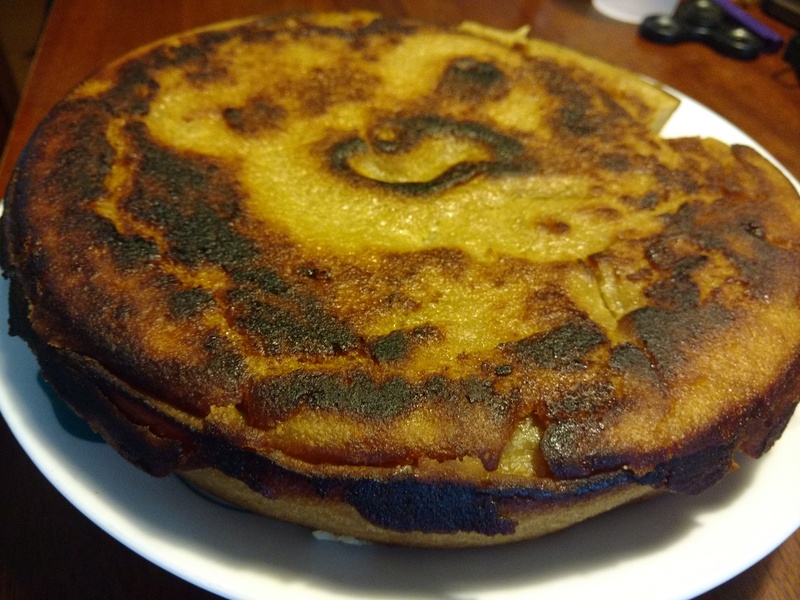 Kalathappam can be had for breakfast or evening tea.